Our Communications Intern, Caillie, was drawn to Plant With Purpose by her concern for some of the most vulnerable communities. 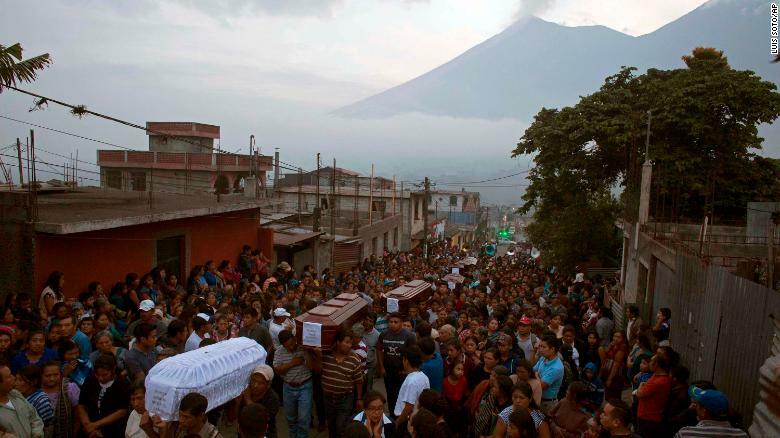 This came about through experiences she had in Guatemala, which she describes below. 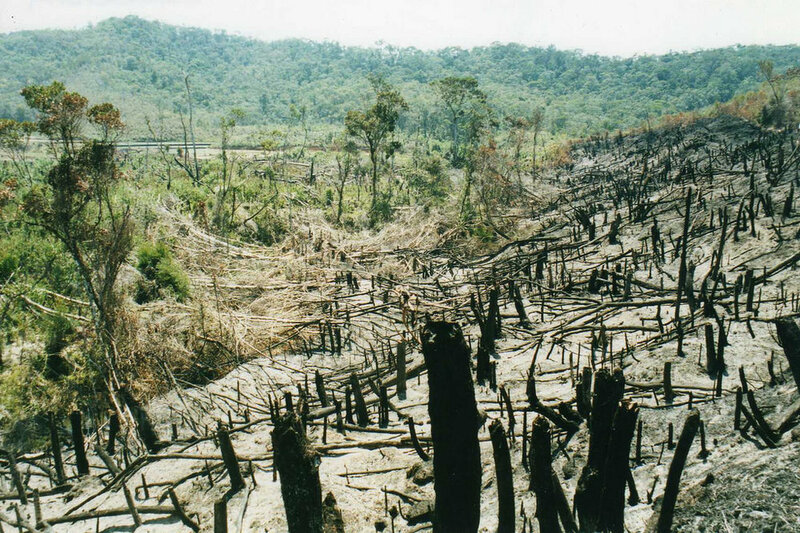 Deforestation is one of Guatemala’s big environmental issues. In 2016, I traveled to Guatemala with fellow Methodists and The Guatemala Project- a nonprofit missionary group. For two weeks we served indigenous people living in the highlands. 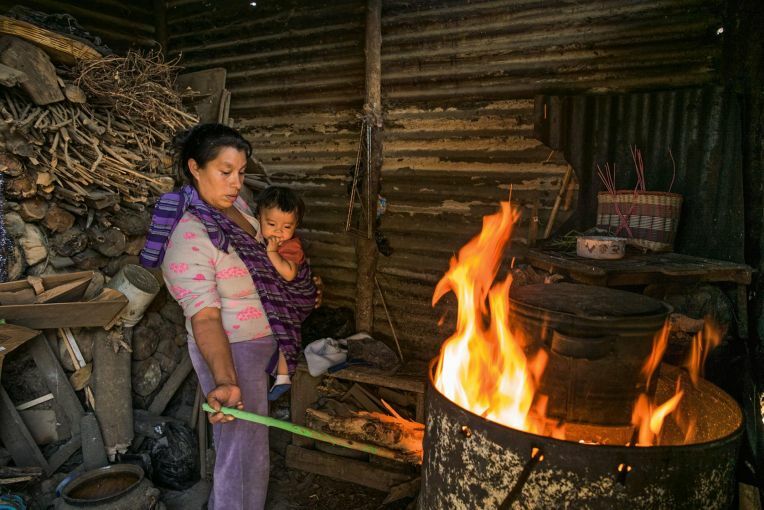 We installed efficient wood-burning stoves in their homes and connected with their families. I was struck by the families’ hardship and generosity. I was also deeply impacted because of the extreme deforestation I witnessed. During a jostling car ride through Guatemalan villages, I gained a great deal of insight into the connection between poverty and environmental issues. Juan- an educated, native Guatemalan who works with the Guatemala Project, founded a school and health clinic: Salud y Paz. We spoke about the unchecked destruction of Guatemala’s formerly dense rainforest and its uncertain future. I learned that the only source of heat for each indigenous village is wood. I asked about whether their growing population’s rapid depletion of the forest worried any of the families as much as it concerned me. Wood stoves are not only environmentally harmful, they can be dangerous. People cut down trees as a source of energy or to clear the land for agriculture. This makes the land barren. Without strong roots almost noting will protect the steep slopes from landslides. As a result, torrential downpours or hurricanes devastate local landscapes when mudslides wipe out villages. Furthermore, increased intensity and unpredictability of weather patterns wreak havoc on the world’s most vulnerable. This was my first exposure to environmental injustice. Susceptible communities were especially vulnerable to environmental problems. As someone living in a developed nation that has the resources to lower our carbon footprint to stop contributing to degradation, I feel responsible to live a more sustainable lifestyle. Environmental justice cases stem beyond the common, most obvious issues. Extreme weather events also negatively affect developing countries’ agriculture. The presence of extraction or waste sites can further contaminate vital resources. They are in our own backyard without us even realizing. Even as a San Diego native, it wasn’t until recently that I became aware of how air pollutants disproportionately affect the San Ysidro community.nts. 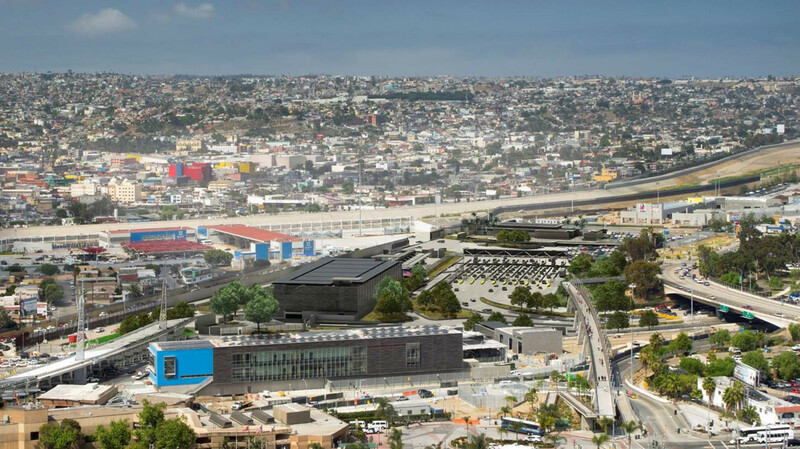 Traffic congestion in San Ysidro produces large amounts of air pollution. San Ysidro Point of Entry is the busiest land international border crossing in the world. The freeway links San Diego to Tijuana, Baja California. The neighboring community of San Ysidro, acts as a gateway for those coming from Mexico. Consequently, idling vehicles at the border emit large amounts of pollutants that directly affect the health of the community. Traffic exposure in Southern California is almost always higher in poorer, ethnically diverse neighborhoods. It is unfortunately not surprising that San Ysidro’s predominantly Hispanic/ Latino population is experiencing the consequences of poor air quality: asthma, reduced respiratory function, adverse birth outcomes, as well as cardiovascular disease. Two of Plant With Purpose’s core beliefs are looking at root causes and standing with the world’s most vulnerable. These speak to my environmental justice values. Environmental hazards and degradation more frequently threaten low income communities, the marginalized, and people of color. They are more likely to live near environmental hazards and degradation, whether in San Diego or Guatemala. I am proud to be interning with an organization that is holistic and rooted in the people they empower. Plant With Purpose fights environmental injustice by empowering the vulnerable populations who are typically the ones most affected. A desire to see justice and an attraction to mercy for the most vulnerable motivates our work. To find out how you can support, consider becoming a Purpose Partner!